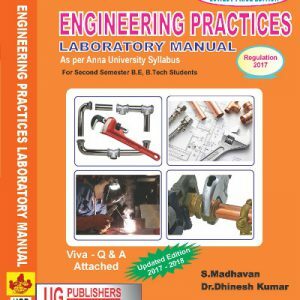 View cart “Engineering Practices Laboratory” has been added to your cart. We take the pleasure of presenting ourselves as one of the leading educational publishers of India for engineering books. We focus on the quality of outcoming engineers as engineers decide the quality of our lives. Plot.69, Balaji Nagar, Part 2, 12th Street, Adambakkam, (Landmark- Near Prime care 24 Hrs Hospital) Chennai - 600 088. © 2019 United Global Publishers. All Rights Reserved.